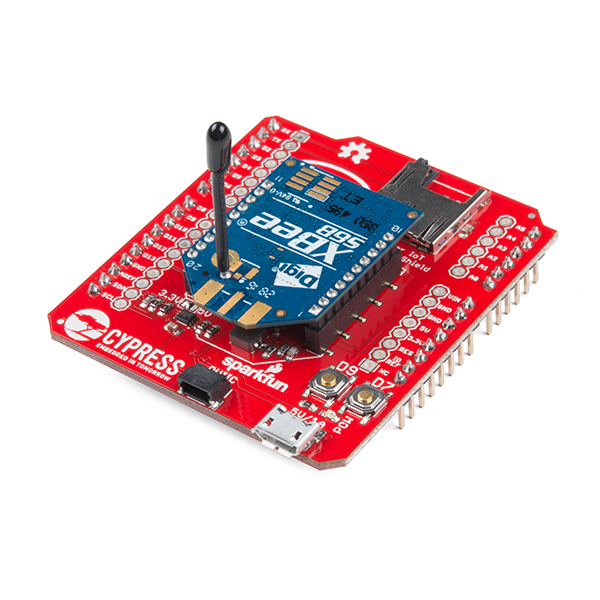 In addition to the microSD card slot, XBee headers and Qwiic connector, the Pioneer IoT Add-On Shield is equipped with a micro-B USB connector. 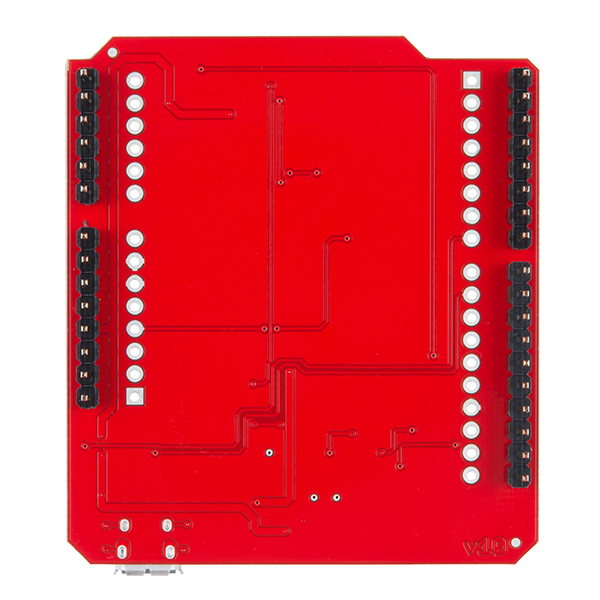 This connector provides 5V to the 3.3V regulator for the XBee module, overriding the 5V coming from the Arduino header and allowing high-power XBee modules to function properly. This is all thanks to the 3.3V regulator, level shift buffer, I2C level shift circuitry and a voltage supply selection jumper --- all found on the shield! 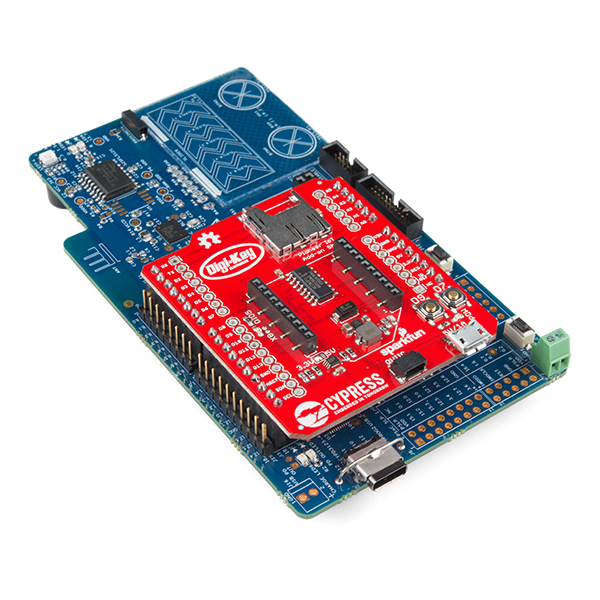 If you aren't familiar with it, the PSoC 6 Pioneer Board is the development tool associated with this processor line, sporting an onboard debugger, Arduino-compatible headers, CapSense widgets and more --- all tied to a PSoC 6 processor. 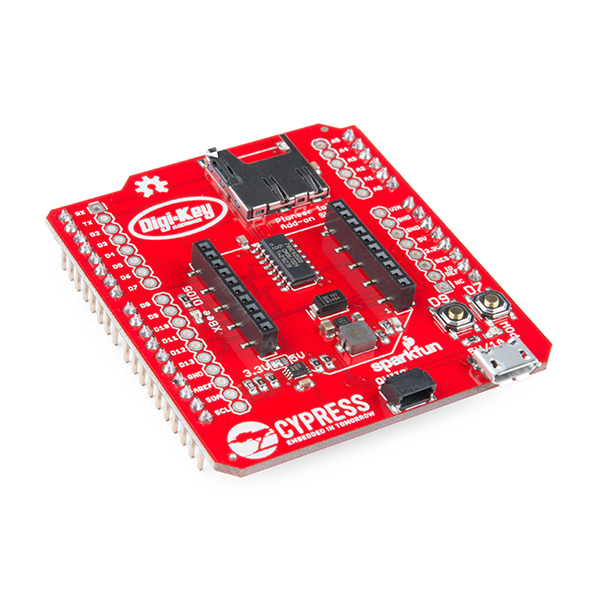 The processor is a dual-core device, with a Cortex-M0+ low-power processor and a Cortex-M4 high-power processor tied together via shared peripherals and memory space. I guess the PSoC 6 Pioneer has to be ordered from Digi-Key? The description doesn't make this very clear. 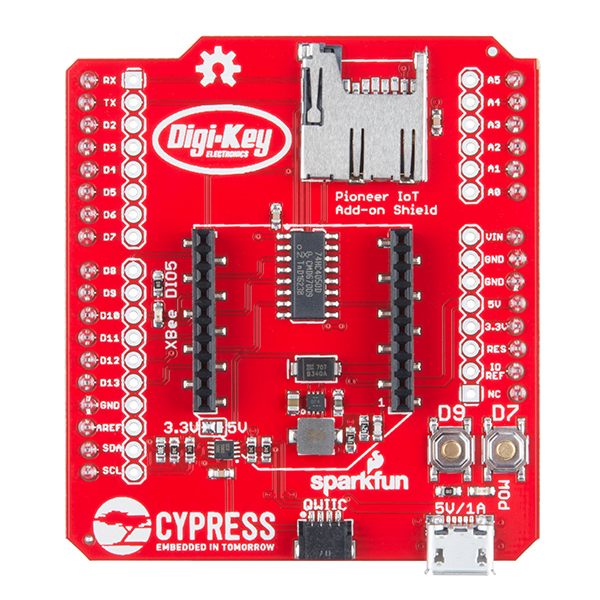 It can be purchased at Digi-Key or directly from Cypress. There are links in the hookup guide to the product pages. When you make a revision make this a selector instead of a solder joint. Or at least move to a better area you can get into. 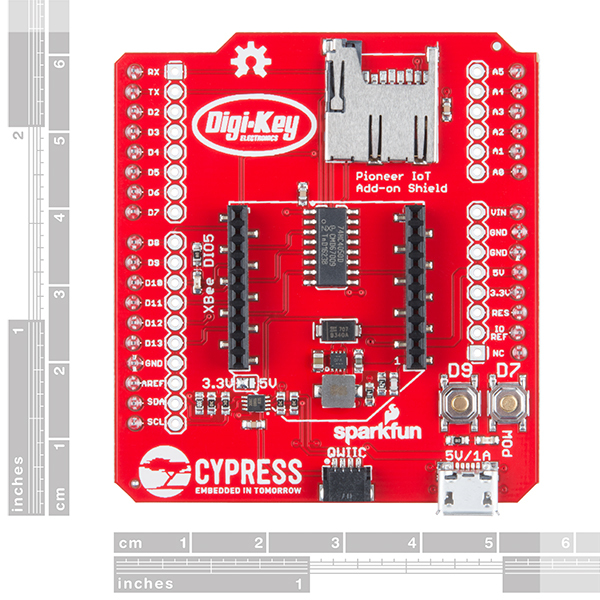 Also I don't know if there a difference, probably not, but when I went to look for the PSoC 6 this goes on I found Digi-Key sold this board for $5.